Collins’ fundamental idea was that the technology and insights of the Human Genome Project would demonstrate tight causal links between variation in DNA sequences and complex human traits, including the disorders that dominate human illness and death. The findings of the Human Genome Project were predicted to transform medical care (by the year 2010), evoke behavior change in genetically at-risk individuals, generate new drugs, and improve the effectiveness of old drugs by matching them to patients’ genes — thoughts later captured in the precision medicine mantra “the right drug for the right patient at the right time.” Another prediction was that gene therapy would be used to cure both rare and common diseases. Although some niche applications have been found for precision medicine, and gene therapy is now becoming a reality for a few rare diseases, the effects on public health are minuscule while the costs are astronomical. Our Viewpoint article is part of an ongoing — and growing — movement that seeks to articulate scientifically warranted dissent to a culture of thought that, ever since the discovery of DNA, has come to pervade biomedical research: the dominance of gene-centric paradigms. This emphasis on reducing biomedical explanations to genetic pathways, known as genetic reductionism, comes at the expense of all other molecular, cellular, physiological, and epidemiological approaches. The dissenters have made their voices heard in the popular press and medical journals, such as Viewpoints in JAMA. Most recently, a special edition of the journal Perspectives in Biology and Medicine, titled “The Precision Medicine Bubble,” includes contributions questioning genetic reductionism by well-established investigators from genetics, cell biology, immunology, microbiology, pharmacology, physiology, anthropology, epidemiology, public health, and law. Physiologists recognize that concepts such as homeostasis and redundancy mean that there are a variety of ways to generate a complex trait or adapt to a multimodal stress like exercise. We have seen time and time again that whole-body physiological responses are robust and remain basically intact even when lower-order systems are attenuated, or in modern parlance, knocked out. This leads us to question the deterministic assumption that there is always a “gene for” a biological process. From public health authorities Dr. Sten Vermund and Dr. Sandro Galea we learned that before embarking on a “transformation-of-everything” narrative, it is reasonable to ask what problem you are trying to solve, where are the best places in an ecosystem to intervene, and what are the real root causes. Cardiologist Dr. Richard Cooper has explained how population-wide interventions, often derided by precision medicine advocates as one size fits all, have led to an 80 percent reduction in cardiovascular mortality in the U.S. over the past 60 years. Epidemiologist and health psychologist Cecile Janssens has reminded us and others that genetic biomarkers are not privileged and need to be rigorously modeled and evaluated like all screening tools. Beyond these core questions about biomedical research, the dominance of the precision medicine program raises additional worries about whether biomedical science is now advancing appropriately. Cancer biologist Yuri Lazebnik wonders how a fundamentally creative activity like scientific research can succeed when subject to “businessification” or ideological considerations. Does this lead to groupthink and excessive careerism? Microbiologist and immunologist Dr. Arturo Casadevall has noted a major decline in biomedical breakthroughs in recent decades. Is this a sign of blunted innovation in science? Huang has dissected in detail how gaming the research funding system and groupthink have stifled innovation in cancer research. Legal scholar Timothy Caulfield has described the unsavory effects of hype and overpromising on science. Do these undermine public trust in biomedical research? While we are occasionally told that we are Luddites or nihilists (generally without much debate of the merits of our position), the most frequent communications we receive have been along the lines of “I agree with you, but can’t speak up publicly for fear of losing my grants, alienating powerful people, or upsetting my dean.” This atmosphere cannot be good for the culture of science. We are calling for an open debate, in all centers of biomedical research, about the best way forward, and about whether precision medicine is really the most promising avenue for progress. It is time for precision medicine supporters to engage in debate — to go beyond asserting the truism that all individuals are unique, and that the increase in the volume of health data and measurements combined with the decline in the cost of studying the genome constitute sufficient argument for the adoption of the precision medicine program. Access is and will be limited to the wealthy Elite. This is a development that is Socially unjust and morally bankrupt. Heroic saves such as this may attract cheerleaders but population health is ignored and quality of life for the broad communities is tragically shortchanged. The role oxygen plays in microRNA biogenesis and cell type differentiation has been placed into the context of “The role of oxygen in regulating microRNAs in control of the placental renin-angiotensin system.” The link from the gut microbiome to biophysically constrained viral latency and Precision Medicine via the National Microbiome Initiative is included in the report “Gut bacteria linked to mental well-being and depression” (Science Magazine Feb 8, 2019). The problem with the hype of precision medicine is that it’s not just about genetic differences (which are definitely important), but its about factors in the patient’s environment – diet, exercise, sleep, stress, and exposure to toxins and infections, that change how genes are expressed and how disease develop. Most medical tests do not test for these, and therefore, important opportunities are missed as patients’ problems snowball. A few years later, we have found several genetic problems that conspired to make my illness and response to treatment so difficult, and by running lab tests and responding to the plethora of abnormalities found with a personalized treatment plan, I am clawing my way back to health. We are not widgets that can be treated identically. A drug that can be good for some can kill others. Most patients don’t just have one disease at a time, the reality for each patient is far more complex, so simplistic standards of care can do more harm than good. We need doctors who are curious and thoughtful who can ferret out the genetic and environmental factors, run insightful tests, and customize treatments for patients. This will only work, however, if patients are willing to optimize tbeir health by making lifestyle changes that support health and understamd that there’s more to getting well than taking a magic pill. And, if we can systematize personalizing medicine, it will lead to economies of scale, a healthier population, and lower costs in the long run. I like the word “businessification” it explains why precision medicine has not panned out. Precision medicien was a marketing idea, it had no factual basis. The ran advertorials and contnet ads about the marvels of precison medicine, yet not much to show it was even real. It was merely a way to upsell current treatments, and misinform the public. Healthcare outcomes have gotten worse, andthe costs increased exponentially. at the same time they marketed psuedo scince too, creating and antivaccince narrative. Precision medicne was naotehr gimmick, a marektign scheme, to give the appearance of progress. Americans will die from third world diseases this year, and it is getting worse. A few who can afford it will get the benefit of modern technology, the rest struggle with physicians telling them to see a new age practioner. The microRNA/messenger RNA balance clearly links the creation of the sun’s anti-entropic virucidal energy from what organisms eat to biophysically constrained viral latency and healthy longevity via the physiology of reproduction. All serious scientists know this, and researchers from Israel reported it in the context of the light-activated assembly of the peptide nucleic acid-microRNA nanocomplex for dual modulation of cancer-related microRNAs. 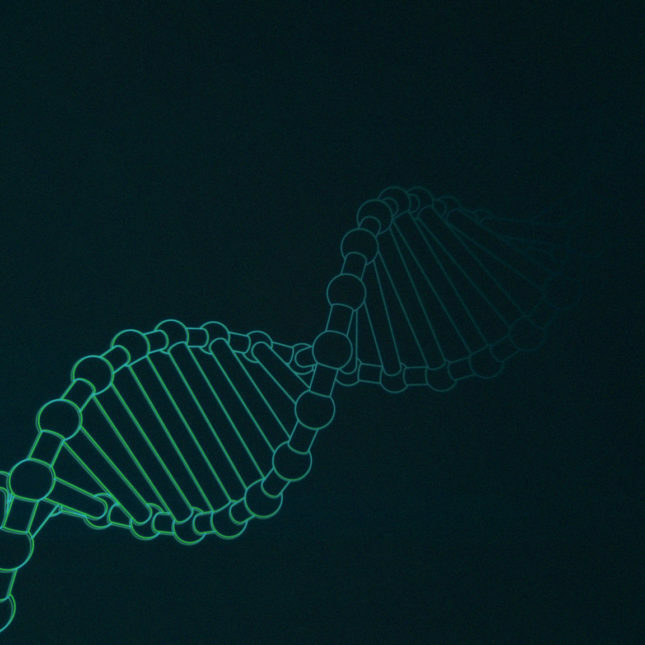 If not for population geneticists and other biologically uninformed theorists, the cure for all pathology would have been delivered long before claims were made about RNA-guided human genome engineering in the context of a patent on naturally occurring constraints that limit the virus-driven degradation of messenger RNA, which causes the mutations that all serious scientists have linked to all pathology.